Government • Governor lauds Val Hale's hard work and ability to keep state in top form. 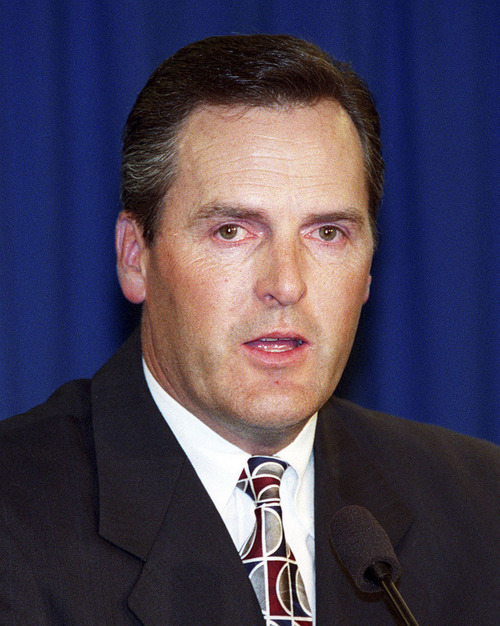 Courtesy | BYU Val Hale, former BYU athletic director, has been tapped to head Gov. Gary Herbert's Office of Economic Development. Courtesy | BYU Val Hale, former BYU athletic director, has been tapped to head Gov. Gary Herbert's Office of Economic Development. Gov. 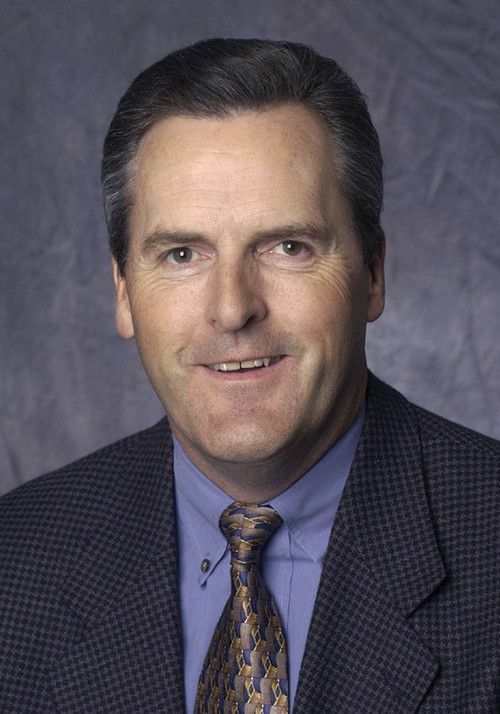 Gary Herbert named Val Hale as his new director of economic development Tuesday, saying the Utah County business leader and former Brigham Young University athletic director brings a work ethic to the job that will help the state&apos;s economy flourish. "He understands that hard work is the heart and soul of any successful endeavor, and I&apos;ve known Val for a long time and I know hard work is not anything he&apos;s a stranger to," Herbert said. "He doesn&apos;t want to see Utah be anything worse than No. 1." Herbert boasted of the state&apos;s rebound under his tenure  with unemployment falling from 8.4 percent when he took office to 3.5 percent last month and an economy that has grown at the second-fastest rate in the nation, behind energy-booming North Dakota. "We have more to do," Herbert said. "We have challenges with competing among the other states who say, &apos;We want to do what Utah is doing.&apos; "
Hale currently serves as CEO of the Utah Valley Chamber of Commerce, which represents businesses in Utah County. Before that, he was president of university relations at Utah Valley University and worked with the Legislature to transition the school from a two-year college to a four-year university. He also served as athletic director at LDS Church-owned BYU. "I know that remaining the champion is harder than becoming the champion," Hale said. "It&apos;s going to be hard to stay [on top] because everyone is going to be gunning for us, and it&apos;s just harder to stay at the top, but that&apos;s my goal." Hale replaces Spencer P. Eccles, who held the position since just after Herbert took office in 2009. The Governor&apos;s Office of Economic Development saw rapid growth during that time and now administers about a billion dollars in business incentives, a state energy program, a multimillion-dollar film-incentive program and rural business outreach. The office has extended post-performance incentives to entice companies such as Boeing, Pepperidge Farms, Goldman Sachs, Procter & Gamble and Adobe to the state. "The names roll off the tongue, but the list is long of the successes we&apos;ve had economically in the last five years," Herbert said. Eccles, son of prominent banker and philanthropist Spence Eccles Sr., stepped down last month to launch a private investment firm, the Cynosure Group. GOED is in the midst of an extensive audit  by State Auditor John Dougall  which some have decried as agenda-driven, but the review is expected to be critical of the agency. Hale said he has heard the audit is underway, but added he will have to wait to see what it finds. "I&apos;m sure that will be something I&apos;ll be brought up to speed on very quickly," Hale said. "I&apos;m sure we&apos;ll find out where we need to make improvements and [get to work making them]." Connor Boyack, president of the libertarian-leaning Libertas Institute, is no fan of GOED&apos;s overall approach. "At this month&apos;s interim meeting, one legislator suggested that GOED has a &apos;PR problem&apos; it needs to fix," Boyack said. "We believe it&apos;s more of a policy problem: Central planning, even for beneficial reasons such as economic development, violates free enterprise. Utah&apos;s government should focus on aggressively lowering taxes to allow all businesses to compete, rather than favoring a select few with tax breaks." Jeff Edwards, president and CEO of the Economic Development Corporation of Utah, a private, nonprofit entity that frequently works with GOED to develop businesses, said Utah will have to grapple in the future with how a relatively small state can keep pace with workforce demands. "That&apos;s the biggest challenge: How do we best, most efficiently utilize our workforce? As unemployment continues to drop, how do we take advantage of all the opportunities?" he said. "We have so many opportunities coming our way. … Can we rise and take advantage of all those opportunities?" Lane Beattie, president of the Salt Lake Chamber, said Hale has proven able to grow wherever he goes. "The world has changed right before our eyes and [the job] takes someone who has the [ability] to be far-reaching and has that perspective," Beattie said, "and Val has that."